-News >Now on Sale 60% OFF - Limited time offer!! >You can now get this APP for the SPECIAL price!! >More than 50000 globally downloaded APP of Catch Questions’s 20th series! 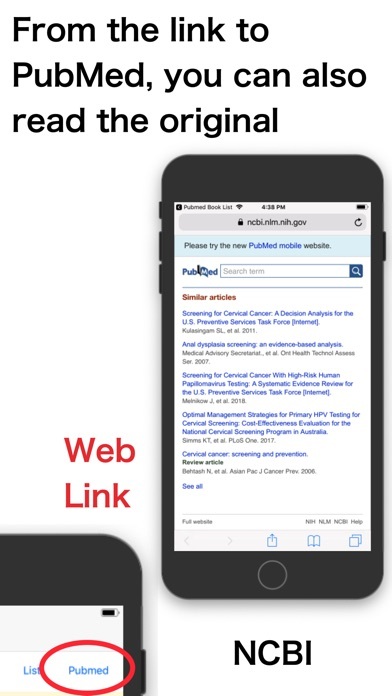 -Guide - Pubmed Book List is a quick viewer for you to read medical or science paper from Pubmed. ~ What features? 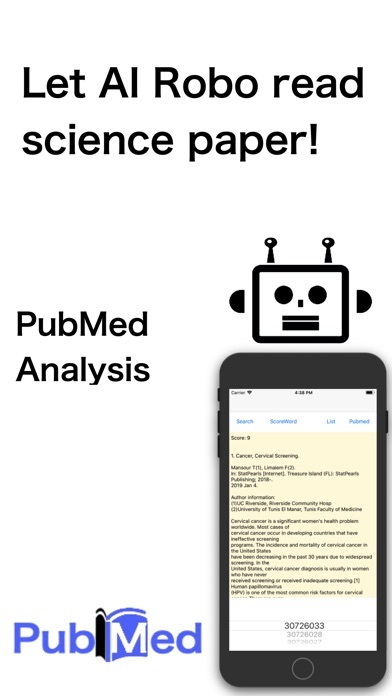 ~ - AI Robo analyze some paper depending on Keywords and Scorewords. 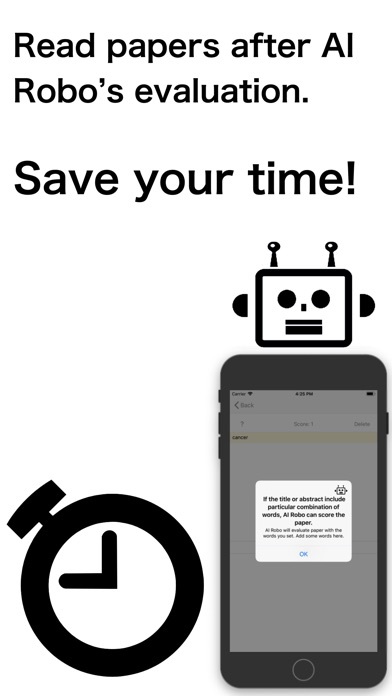 - Papers are scored by AI Robo. - You can easily determine which papers you should read. ~ Procedure ~ 1. Set score words from the button of SCOREWORD. 2. 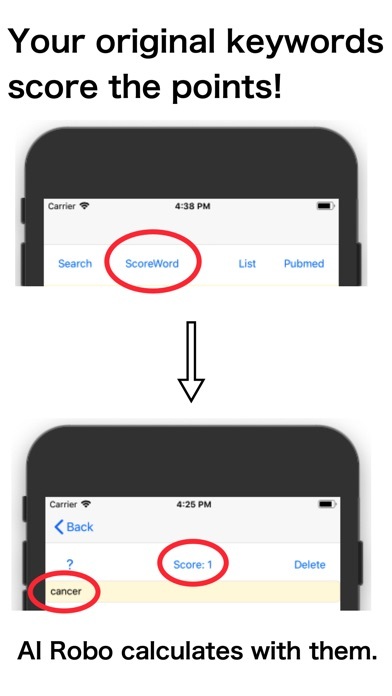 Turn the list to ADD NEW and type some score words on yellow text field *1 3. Go back to top page 4. Tap the button of SEARCH to search some paper with keywords. 5. PMID will be shown at the lower list. *2 6. Turn the list to specific PMID. 7. 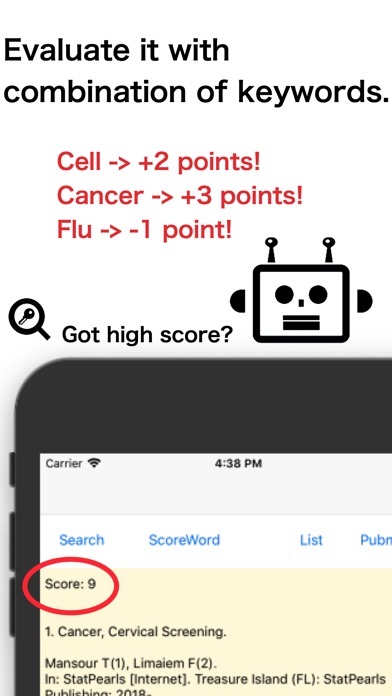 Score AI Robo calculates will be shown at the top with the title and abstract. *3 *1 AI Robo will analyze title or abstract with these score words. *2 PMID is the specific ID of Pubmed for the paper you searched. *3 The score changes according to your score words.